IISOH Library & Museum Fundraising Campaign 2018; #GivingTuesday; Boxing Endowment; ROCKY Statue #3/3. The International Institute for Sport History (IISOH) Library & Museum announces the 2018 #GivingTuesday event. On Tuesday, November 27, a worldwide event is taking place encouraging donations to non-profits with many matching opportunities from large corporations. The IISOH is taking part in a campaign on FACEBOOK where matching donations from FACEBOOK and PAYPAL will be contributed up to $7 million. The IISOH is inviting the public to participate on Tuesday and donate as little as $5.00 to the campaign with a goal of raising $25,000 - hopefully via 5,000 donors. The IISOH is seeking widespread support from the Pennnsylvania public, 12.5 million citizens in the state's 67 counties and 501 school districts. The IISOH plans to develop a large sports complex in central Pennsylvania to house the Sports Library and Museum devoted to the History of Sport, Physical Education, Recreation, Dance, Sport in Art and the Olympic Games. The Institute has a website at www.sportlibrary.org with many pages already online and hundreds more in progress and/or planned. The IISOH is a non-profit corporation and is seeking to develop the largest sports research collection in North America by acquiring all the literature in the world on all sports subjects. The multi-lingual collection seeks to preserve the history and culture of sport around the world for posterity and would be a researcher's dream environment. One of the highlights of the IISOH project is the acquisition of the famous bronze statue of ROCKY #3 from the Sylvestor Stallone movie ROCKY III. The IISOH holds first rights to the statue and is also raising money for this acquisition in a seperate fundraising campaign. The statue was created by artist Thomas Schomberg for Stallone with statue #1 belonging to the City of Philadelphia. 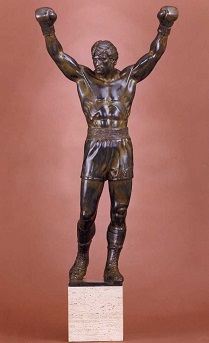 ROCKY #2 was sold to Robert Breitbard and was exhibited inside his San Diego (California) Sports Hall of Champions until 2017. Breitbard died in 2010 and the museum sold ROCKY #2 in November 2017 to a private buyer, Sylvester Stallone! The IISOH Museum is buying ROCKY #3, the last of the three statues. The IISOH plans to acquire replicas of numerous ancient Greek and Roman statuary that are related to sport and athletics. An agreement has already been made to acquire the famous statue of the DISCUS THROWER (Discobolos/Discobolus) from the British Museum in London. 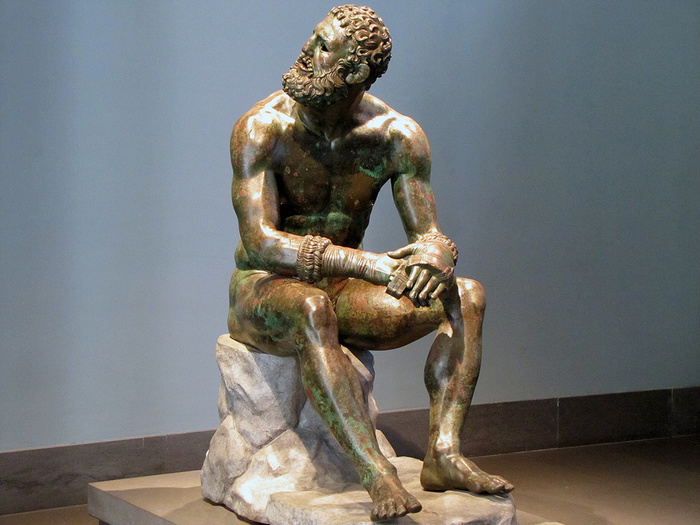 Many other well-known statues will be reproduced in bronze by an Italian foundry for the IISOH museum. The campaign by the IISOH to raise money to buy the statue (Rocky $3) is scheduled to run from November 26, 2018 to April 30, 2019. The goal is to raise $3.5 million Dollars by soliciting donations from Pennsylvania's 12.5 millions citizens and 900,000 businesses. The IISOH goal is to get every business owner in Pennsylvania – over 900,000 such owners, to make a single donation of $25.00 just once in their lifetime. non-profit educational, literary and research corporation under section 501(c)3 of the Internal Revenue Code. Physical Education, Recreation, Dance, Sport in Art and the Olympic Games. The IISOH is a Pennsylvania non-profit corporation. We plan to develop multiple endowments by soliciting widespread support from the public, businesses and major corporations. We seek material items for our collections as well as cash for the endowments via voluntary gifts, corporate support, private foundation grants, and potentially state and federal grants. In the future we plan to build a sports complex with the Library and Museum, Dance Theater, indoor and outdoor sports facilities and a restaurant/cafe. We expect to generate additional income from admissions, membership fees, and merchandise sales in the Museum gift shop.